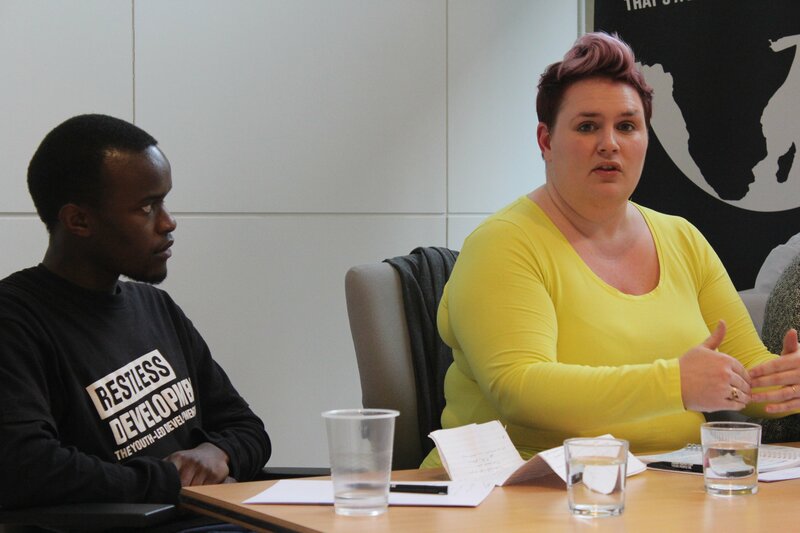 In the first of our weekly blog series in the run up to the General Election, we asked Katie Pruszynski, a Senior Parliamentary Assistant in the last government, whether the current political system does a good enough job at representing young people? But it’s the voices of young people who should be at the centre of political debate, so we also asked Michelle Besa, 23, a former Restless ICS Volunteer in Tanzania, a few questions on the same critical issue. Personally I’m really excited about voting this time round. This is my second general election and politics has become more interesting now more than ever. The rise of UKIP in the EU elections made us realise that smaller parties do have a chance. The game has changed and many now realise we can actually vote against the main two party system. So not only am I excited, but I am also optimistic. I think many young people reading this may remain pessimistic, but I want to remind them that yes there are issues that may make us want to not participate in the general election (parties not having to be accountable to their manifestos) but the future is not bleak. Guys it’s all on us! We are the leaders of our own futures. If we want to see change then we have to make our voices heard! The only way that can happen is if we are represented in parliament. The only way we can be represented is if we cast our votes come May 7th. ICS with Restless Development made me truly see and believe that you people can and young people do. We are bright and we have fresh exciting ideas to shape the our future and the worlds future! When I was on my placement, we successfully reached over 600 Tanzanian university student in accessing livelihoods training. That’s at least 600 people who now have increased job prospects because of our work, commitment and enthusiasm. Never doubt that a small group of committed citizens can change the world, it is the only thing that ever has. What I’m trying to say here is that your vote counts, and participating does make a difference. ICS also opened up my eyes to global issues like poverty and unemployment and lack of universal education. Which is what also made me become more eager to participate in politics, because that is one way change can come about. Panelists at our Reframing the Vote event last week. Do you believe the responsibility to engage more young people with politics lies with those in Westminster? The responsibility to engage more young people in the political process lies with society as a whole! I do think it needs to start from home, parents should encourage young people to be active citizens and be more aware of their community. Then its in school – I didn’t learn anything about the voting or political process whilst I was in school. Education is key to this issue! Young people have not been taught how the system works and they don’t know how to make their decision on who to vote for or where to even find this information. Of course the internet is there and one can research, but it should be much more straightforward than that. What can politicians do to be more accessible to young people? I think the new idea of having televised debates is a great idea as young people are able to engage in this way. I also believe on a local level MPs can visit upper sixth forms and colleges to campaign and give young people information. 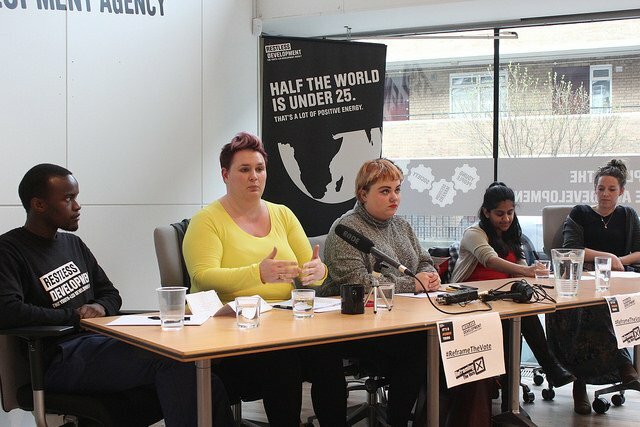 Katie Pruszynski, Senior Parliamentary Assistant to Chloe Smith, one of the youngest MPs in the House of Commons. Do you agree with the comment made by Katie that more young people should stand for positions within local councils where decisions are made? I agree with Katie 100%. The decisions being made by government now are shaping the future, our future. Therefore it is only right and just that we should be part of that decision making process. A young person is better suited to represent the views of young people, and there are definitely not enough young people in positions such as local councillors to represent us. Listen to Katie’s full speech at our Reframing the Vote event here and get involved with the conversation by leaving your own response in the comment section below.